Specimen TE-036, nicknamed “Roosevelt” is a premium quality composited example of the “Tyrant Lizard King,” Tyrannosaurus rex. It is named for President Franklin D. Roosevelt, after two partial T. rex specimens were discovered south of Fort Peck Lake, a monumental hydroelectric dam project constructed by the Army Corp of Engineers under FDR’s New Deal in 1940. Garfield County, Montana, which lies in the shadow of the reservoir, has produced some of the highest quality specimens of Tyrannosaurus rex that have been recovered. 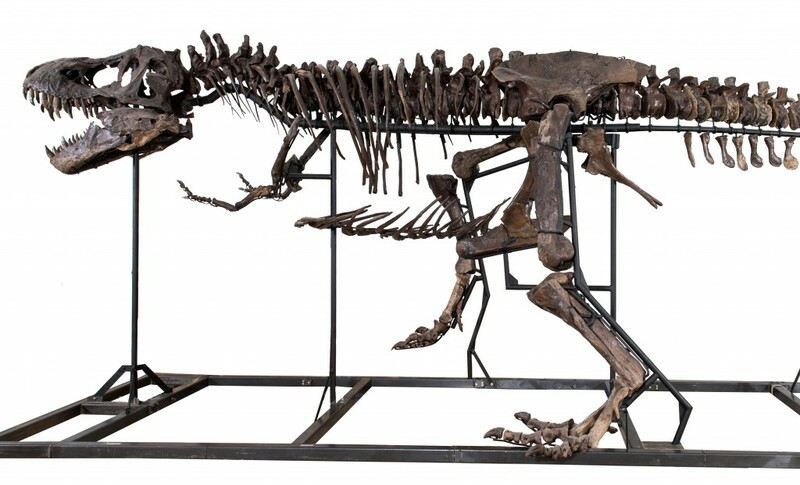 “Roosevelt” takes his place alongside composite T. rex specimens including those exhibited at the American Museum of Natural History and the Natural History Museum in London, UK. “Roosevelt” is truly a beautiful and exciting display specimen, fully prepared and mounted for exhibition. All fossils recovered have been fully cleaned and stabilized for mounting. Bones are of a very good quality overall, exhibiting beautiful detail, solid outer surfaces, and a natural dark brown patina common to fossils recovered from iron rich geological formations such as the Hell Creek and Lance Creek Formations. 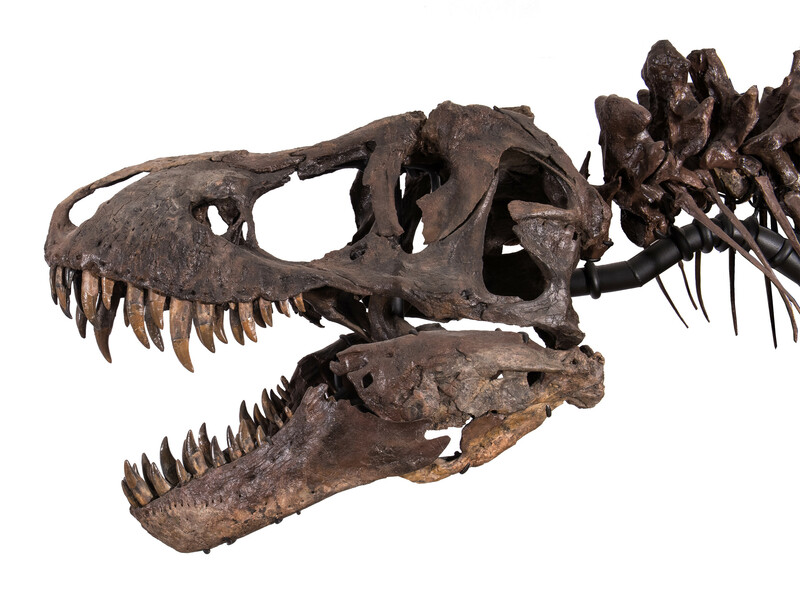 TE-036 contains Tyrannosaurus rex fossils from two of the post prestigious geological formations in which T. rex fossils are recovered. 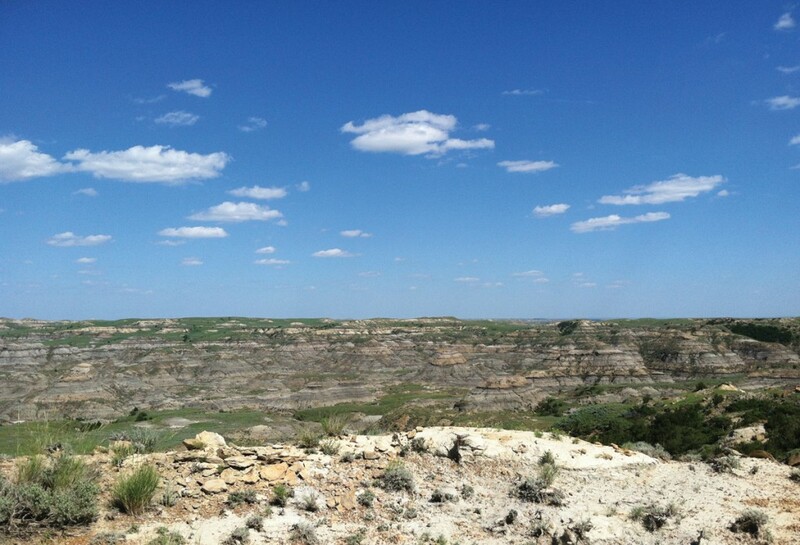 The Lance Creek Formation of northeastern, Wyoming and the Hell Creek Formation of eastern Montana share similar geology and faunal species due to the relative age of their respective sedimentary layers. 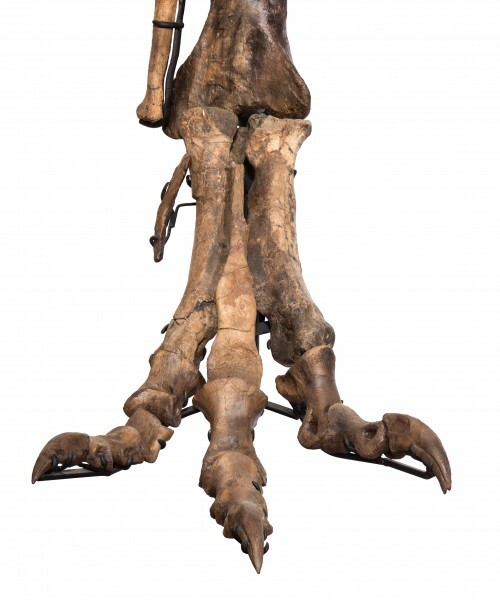 “Roosevelt” was compiled with material from three partial Tyrannosaurus rex specimens recovered in Montana and Wyoming. All three sites were comprised of a similar matrix, largely clay/ mudstone, which is generally indicative of a slow moving aqueous environment. Although the specimens and their respective sites were quite remote from one another, the similar conditions of preservation and overall size have made the materials a natural fit for a composite skeleton. Absent bones are replaced with high quality replica. 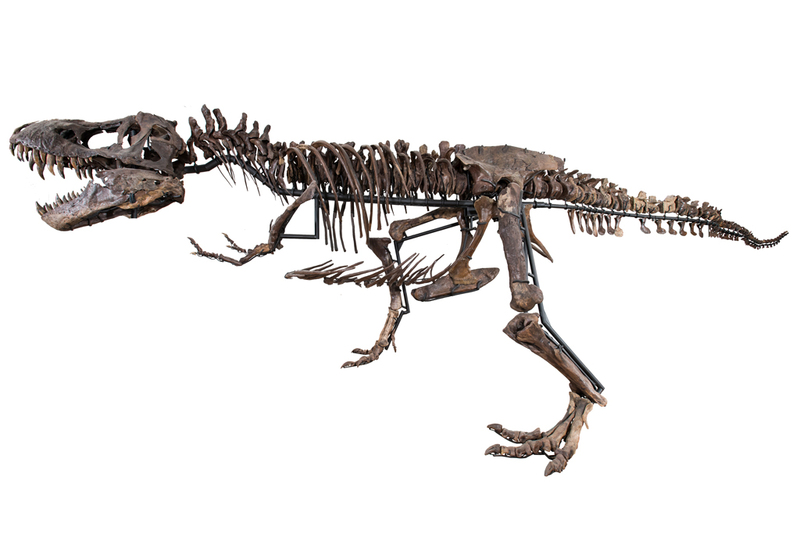 In 2008, Clayton Phipps, a longtime resident of the prolific Hell Creek Formation, came upon Tyrannosaurus rex remains on the private ranch of a cousin, outside Jordan, Montana. 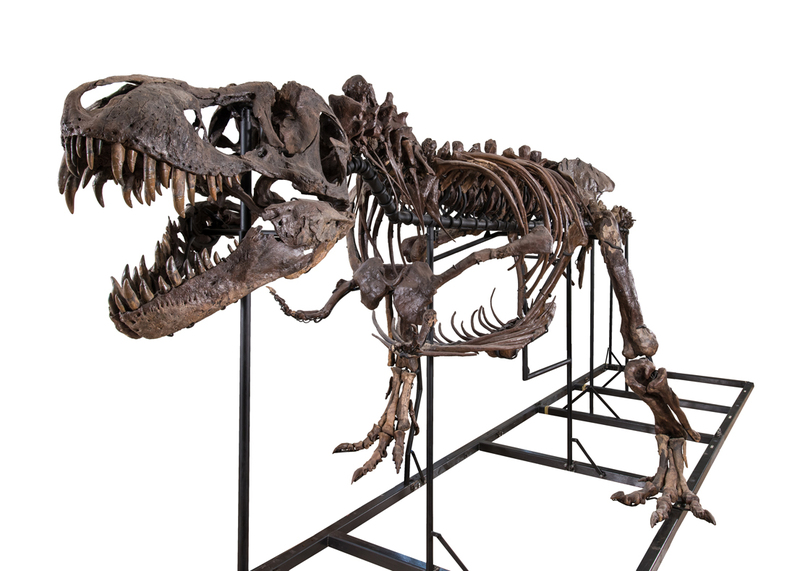 The site (TE-CPR) produced a partial T. rex specimen of exceptional quality. The exquisitely preserved bones, which he collected through 2013, now make up the majority of the axial skeleton and pelvic area. 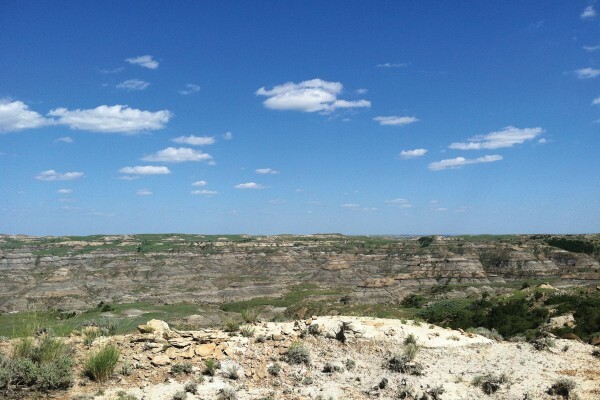 Later, in 2013, while prospecting the private ranch of a neighbor, Clayton came across the distinct bones of another partial T. rex (TE-JWE), which has contributed material to complete the axial skeleton. The skull of “Roosevelt” comes from a third partial specimen discovered in the Lance Creek Formation of Weston County, Wyoming. The site (BS1301), which was completed in 2013, produced the skull and a variety of postcranial elements including cervical ribs and vertebra and portions of the hind legs. 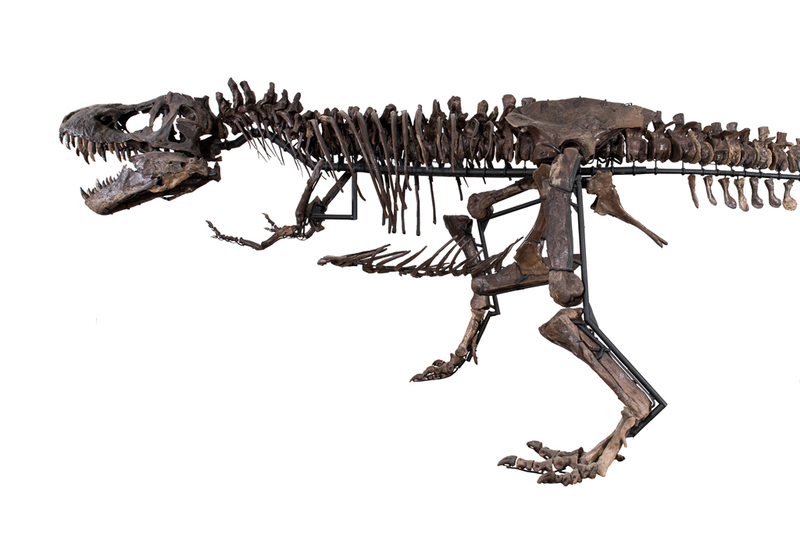 The three partial skeletons came together in 2015 as “Roosevelt,” and are posed on a custom steel armature, in a classic Tyrannosaurid pose.